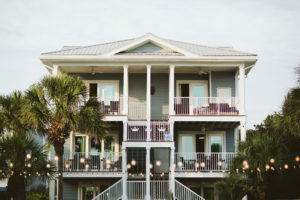 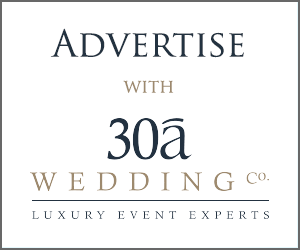 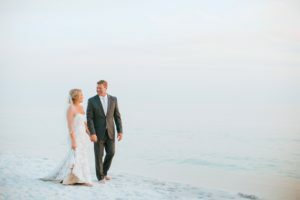 30a Wedding Co. / Triple Crown House Beach Wedding : Jeremy + Taylor - 30a Wedding Co. 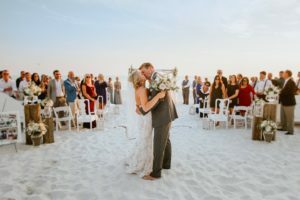 Triple Crown House Beach Wedding : Jeremy + Taylor - 30a Wedding Co.
Jeremy + Taylor had a stunningly beautiful Triple Crown House Beach Wedding on a perfect November day. 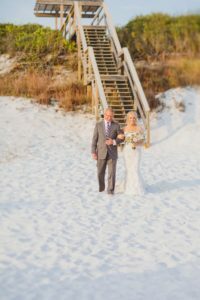 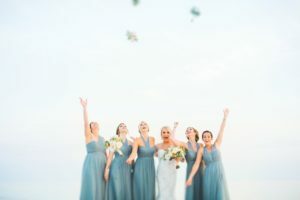 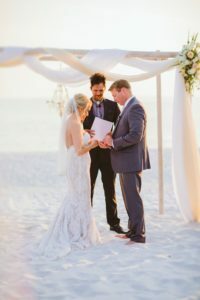 Truly a stunning venue, the Triple Crown House is one of the only beach front houses that boasts a full lawn between the house and the beach, making it a perfect venue for weddings and events. 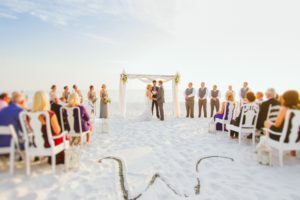 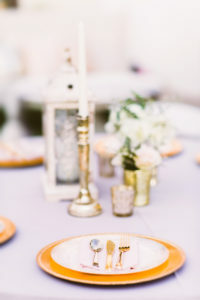 Beachside Ceremonies brought in all tables/chairs and decor, going above and beyond to make this one gorgeous. 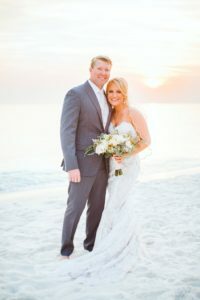 Little Miss Creative was there to capture the moments in photos while our 30A List Vendor Silver Shade Studios was their videographer. 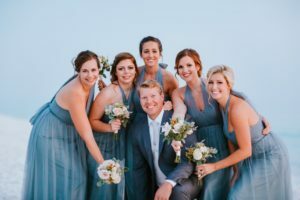 Dear Bride was also there to leave her glam on the bride and her tribe. 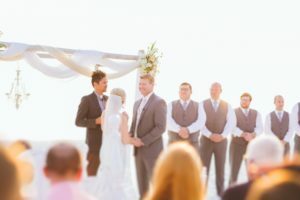 You could feel the emotion during their first look, while Jeremy was blindfolded and Taylor took his hands to pray with him before her big walk down the aisle. 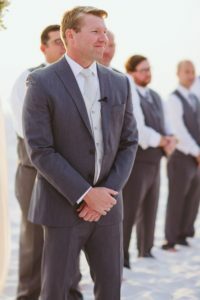 The ceremony was moving and emotional. 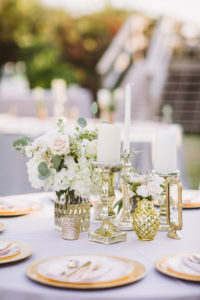 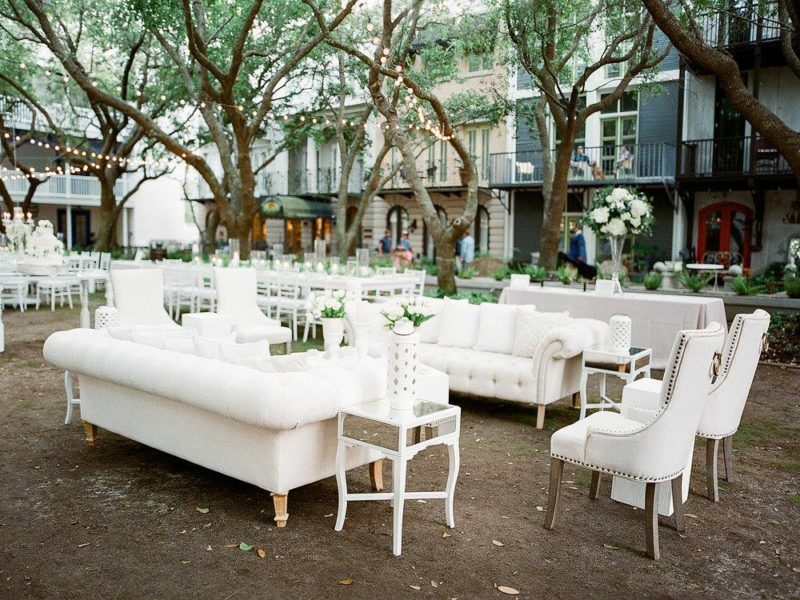 The guests were greeted with wine as the entered the beach to find their seat in a variety of white, mismatched vintage furniture. Their W monogram was drawn in the sand in the middle aisle. 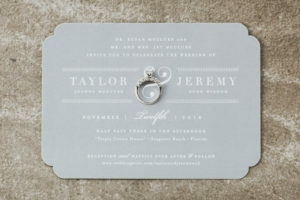 One of their Grandmother’s shared a reading and Jeremy was joined as one with Taylor, to begin their new family of three. 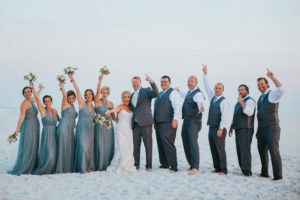 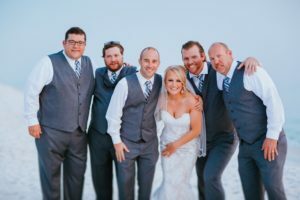 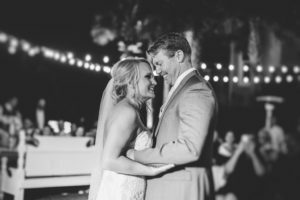 The reception was nothing short of a party under the stars as Emerald Coast Entertainment pumped the beats and packed the dance floor. 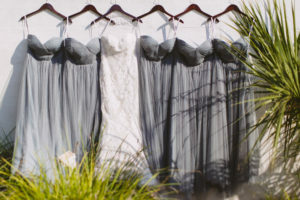 The set up was intimate but beautiful, with no detail going unnoticed. 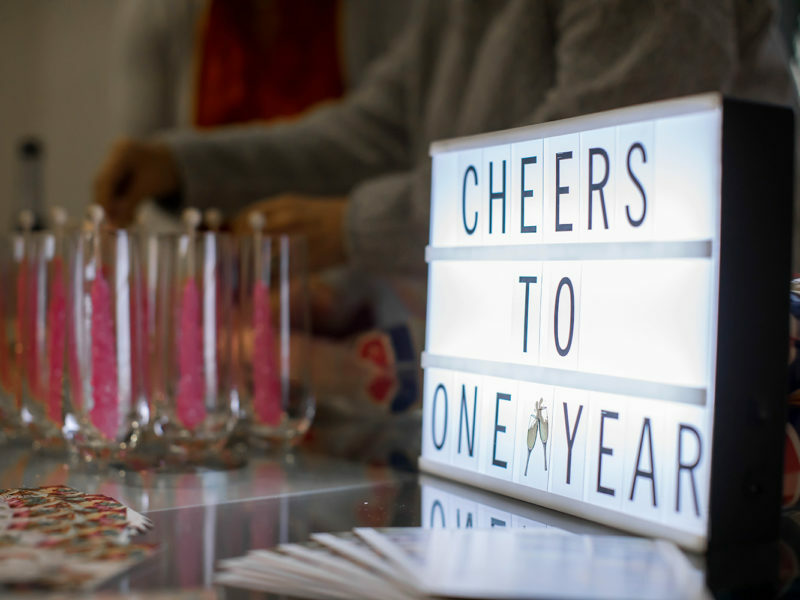 A few emotional toasts also made this evening one they’ll never forget. 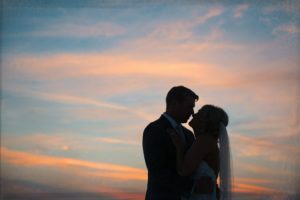 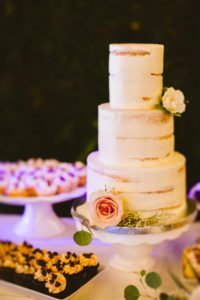 Triple Crown House Wedding Videography | Jeremy + Taylor from Silver Shade Studios.And the beautiful images..